Oil: it’s the lifeblood of every car and truck on the road and it is instrumental in keeping a vehicle running right. While most folks know their engine requires oil, it’s important to understand why. 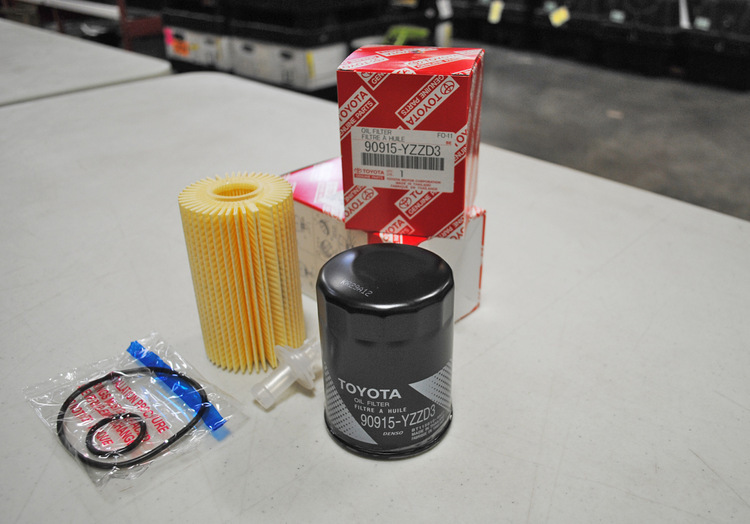 Stated quickly, oil creates a lubrication barrier for the engine’s internal parts. Everything from the crank and camshaft to the bearings and rockers to the pistons that pump up and down is dependent on the oil being able to lubricate parts efficiently. Like most engine components, after time, the oil breaks down and needs to be replaced so that it stays clean and free of contaminants. On the front line of this battle is the vehicle’s oil filter. Its main job is to stop any form of solid deposit from reaching the critical parts of your engine. When oil runs through an engine it picks up things like dirt, metal particles and engine grit. And while the oil “suspends” these particles, they still need to be removed or you can risk causing serious damage. 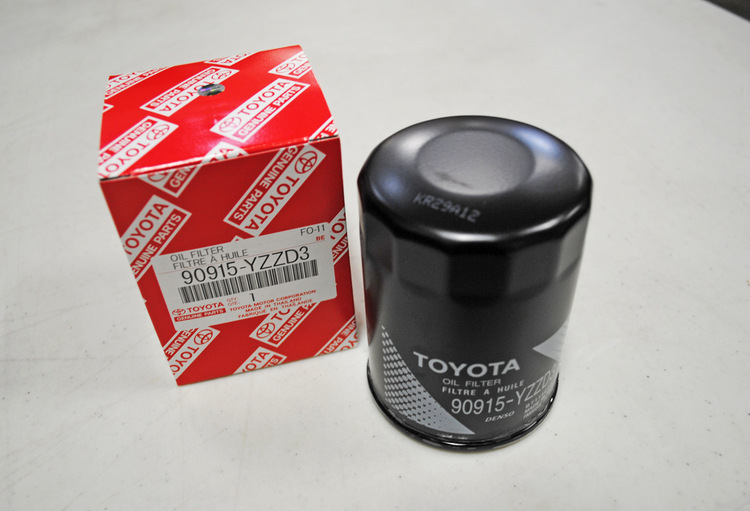 Shaped like a circular screen, the oil filter works in conjunction with the car’s oil pump to make sure that a steady stream of clean lubricant is in constant circulation. On average, oil will pass through an engine four times for every mile driven, which means if you’ve covered 5,000 miles then the oil has been run through your filter 20,000 times – that’s a lot! A spin-on filter is a self-contained unit that fits to the outside of the engine by means of a specified mount. After draining the oil, simply spin-off the old one to remove, and spin-on a new one to replace. A cartridge filter resides in a permanent housing on the engine and many times is much easier to replace then a spin-on unit (check your vehicles owners manual to see exactly what type filter your car requires). 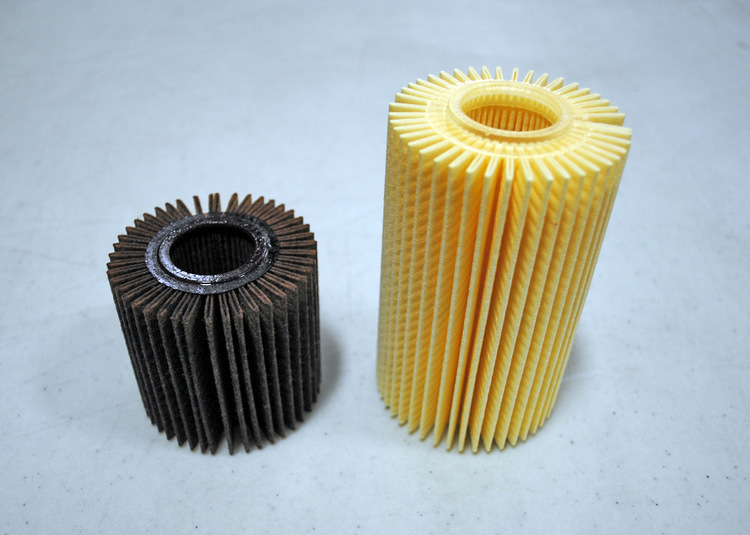 Believe it or not, you can learn a lot about your car by looking at the old oil and the used filter. 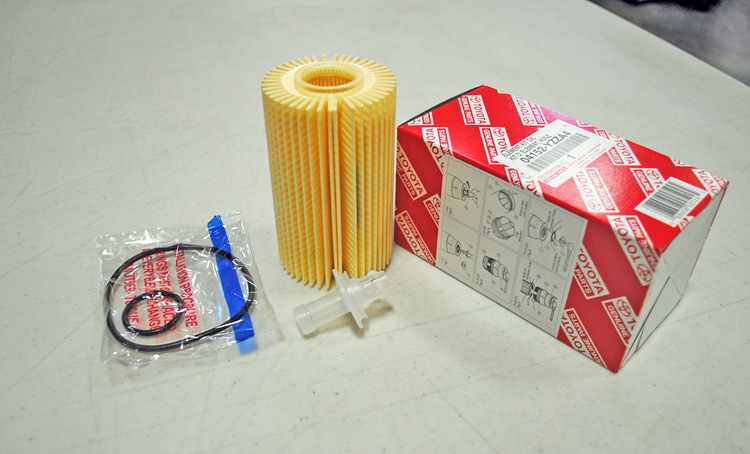 If, for example, the old filter is filled with sludge, contains a bulge, or is deformed in any way that could be a sign of too much oil pressure or incorrect engine operating temperatures. Remember, an oil change car falls under the category of preventative maintenance – a good thing. And while newer cars don’t necessarily adhere to the old 3,000 miles rule of thumb between services, it’s still a good idea to perform oil changes sooner rather than later by using manufacturer recommended parts and service techniques.